They forgot the Ultra Paradise flavor. Or for you non-boomers out there, the like green one. That would make me so jittery I could piss my name in braille in the snow. 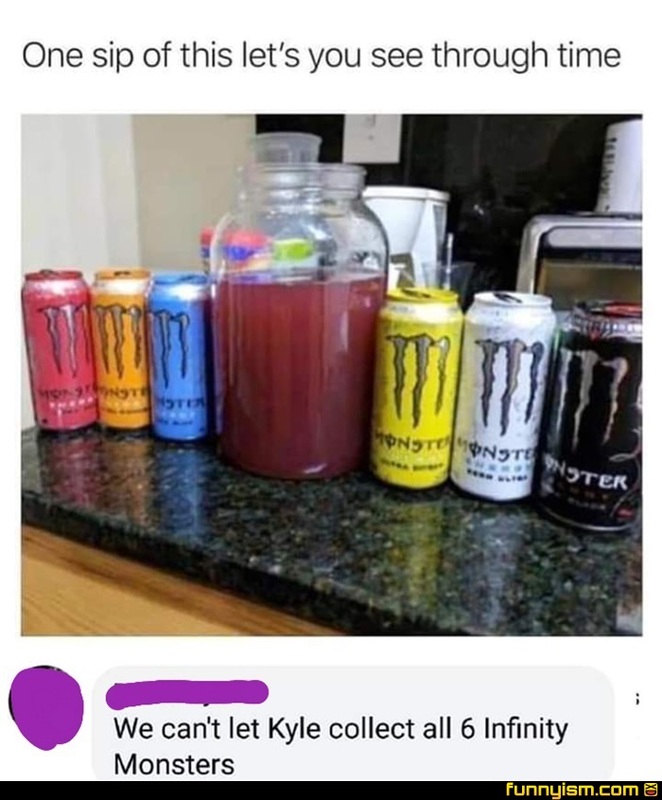 But it's no stronger than any other monster, there's just more monster per container. A sip is the same either way. Now if you chugged it all at once, something might happen. That something being a heart attack. You’re missing the purple pixie dust one. You really should eat those hot dogs. They're three months past the date... They'll make you see through time. I work with this guy who posted the og pic...Idk how to feel about this.. I am disgusted, but intrigued.